Experience a paragliding flight with Keiko Hiraki, and be impressed by the wonderful view of Mount Fuji! 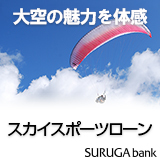 You can get your paragliding license in Sky Asagiri, and you even can canoe with us! If you want to go paragliding, come to Asagiri, at the foot of Mount Fuji! It’s easy to come to our school from Tokyo or Nagoya in only a one day trip! 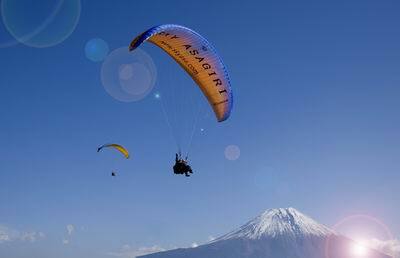 Located at the foot of Mount Fuji, Asagiri is Japan's largest area for paragliding. It is possible to flight almost every day of the year!